Smart phones are necessity in today’s life. People are dependent on phones in many ways such as for socializing, chit chat, online shopping & many more. 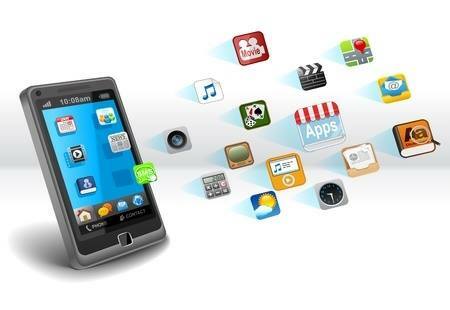 As the numbers of mobile users are increasing very frequently every day and it has been estimated to reach approx. 5 billion till next year, it is very much important for everyone to make sure that their mobiles phones are safe and secured. 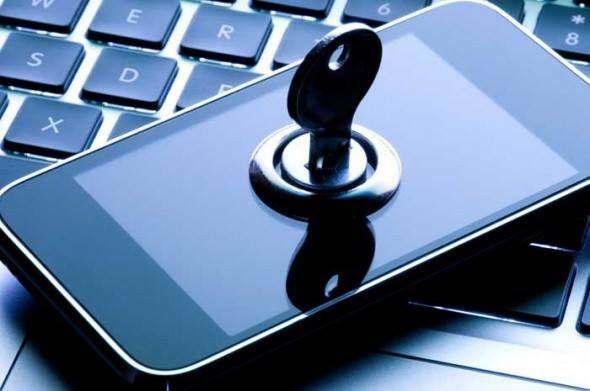 Carelessness towards mobile security can lead to cybercrime, as the anti-social elements are always in search of ignorant people and keep on trying to hack their vital information from their phones through different applications, software, spam mails or through other modes. Here we need to be attentive and should use our phones smartly so that no one can misuse it. Don’t pass the password: Whenever you login to different online services and applications, it usually asks the browser to remember the password. Say no to it. Especially when it comes to bank accounts or payment related details, never save the passwords as this can lead to compromising your account in future. Always use alpha numeric passwords: There are many types of security settings available now a days in smart phones, such as screen pattern lock, recognizing your face or recognizing your fingerprints, pin, password and many more. Try to use a difficult password which has numbers, alphabets and special characters with small and capital letters and are not so common. The password should be selected in such a way that it cannot be guessed easily. Be careful while giving permissions to the apps: When you download an app and open it for the first time, They ask you to grant certain permissions such as allow to read your text message and contacts etc, so before granting a permission, you must validate it properly as all the apps are not safe and all the information which they ask is always not a necessity, so be careful before allowing such steps. App locker: There are certain photos, videos, contacts and messages, in your phone which you do not want to share with anyone as they might contain your personal data. To avoid your personal data being compromised and shared, always keep a lock on your app and Gallery so that no one can see it or share it without your consent. Physical security: Physical security of your device is very important as well when it comes to security. You should note down all the important details of your phone such as IMEI number, serial number, MAC address etc., so that in case of loss or theft, you can track your device easily. Auto Wipe: Keep your phone at auto wipe mode. In case your handset is lost or stolen and someone tries to unlock it, after three consecutive wrong password attempts, immediately all the data will get erased and phone will get reset. All you need to focus is to make sure to back up your data regularly whenever you are on auto wipe mode. Protect android phones from Virus: One more important threat to your mobile phone is virus, malwares, Adwares and Phishing which comes from different apps, files and information we download from various sources. Always make sure to purchase an Anti-virus rather than downloading it for free as the free versions have limited features which makes your phones vulnerable to viruses and malicious programs. The easier the life gets the tougher it gets! Smart phones are a boon but if we don’t take care of all the things you have mentioned.. it can become a nuisance! This is such a key point – Be careful while giving permissions to the apps. A lot of us just keep clicking next when we are setting up an app that we fail to see what permissions we are giving the app. Everyone must be careful here. Thank you for this extremely useful post. We are all guilty of making silly mistakes when it comes to our privacy and data on mobile phones. The steps you have outlined will definitely help us. Being from software industry I know how risky it could be to give access to their party apps as they can get access to most crucial info stored in your phone. Great tips. With the increasing number of glitches and phishing attacks we definitely need to implement all these points. Thanks for highlighting. Now a days mobile phone is a need and keeping it secure is must. Its well written and a very useful article. Keeping posting such amazing content. Its true that cyber criminals are very common these days. I will use these tips to avoid any such event for my phone. We really have to be careful with the apps especially. Phone security is very important. I have stored almost every possible things in my phone and it is also important to secure those properly. Very nice tips you have shared. Thank you. I am a technologically challenged person and this post was genuinely helpful! I loved your idea of setting the phone to auto wipe! Will try it! It is true that cyber crimes are very common these days so for that reason Phone security is very important. Thanks for amazing tips will surely use those. This is a very helpful post. I do try to follow security procedures for my phone but can do better with some tips like Auto Wipe etc.